Barrel-aged Negroni at MilkBoy, 401 South St.
Getting a little fancy there with the drink menu, are we, MilkBoy? Last week, the South Street offshoot of the Center City bar-club rolled out a new list. 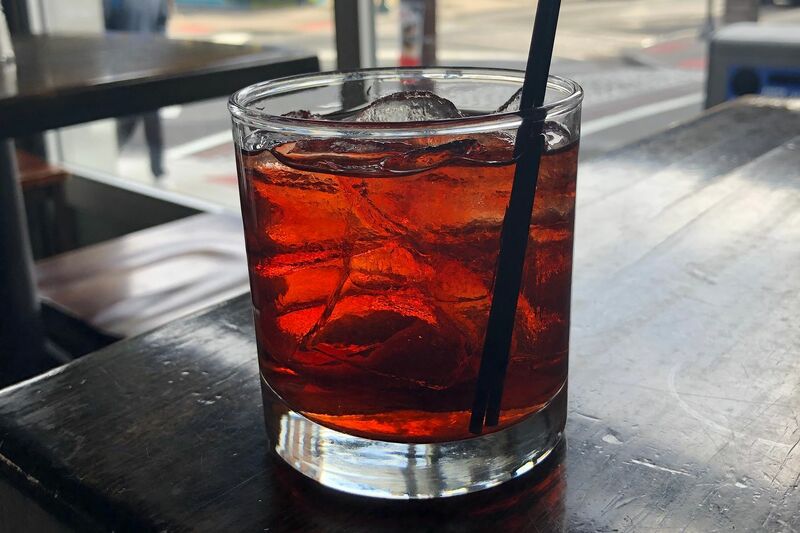 A few surprises popped up, including the Blood & Sand ($12, Johnnie Walker Red, Heering cherry liqueur, sweet vermouth, and orange) and a Negroni ($12) with barrel-aged gin, Campari, and sweet vermouth). They're $2 off at happy hour, as are all the cocktails. You can drink much more cheaply, of course. Well drinks are knocked down to $5. The happy-hour deal also includes $2 off wines and draft beers, plus $3 baskets of fries, $4 orders of Brussels sprouts, $5 nachos, and crab cake ($4), mojo pork ($3), and fried chicken ($3) sliders.